Today Wilwood Disc Brakes announced their new Superlite 4R big brake kit for the 2005 – present Ford Mustang designed for use in racing series that limit the size and pistons that can be used in braking systems. The bolt-on brake kit features Wilwood’s forged billet Superlite 4-piston ST radial mount calipers equipped with Thermlock pistons that clamp down on 12.19-inch diameter GT slotted and vented Spec 37 rotors. The kit, part number 140-12508, comes with aluminum hats, mounting brackets, and all necessary hardware for an easy, bolt-on installation. Stainless steel braided flexline kit, part number 220-9111 is included with the kit to make for a professional installation. Wilwood Disc Brakes 15H PolyMatrix high temperature racing brake pads come standard with this kit. Other brake pad compounds for other racing environments are also available. 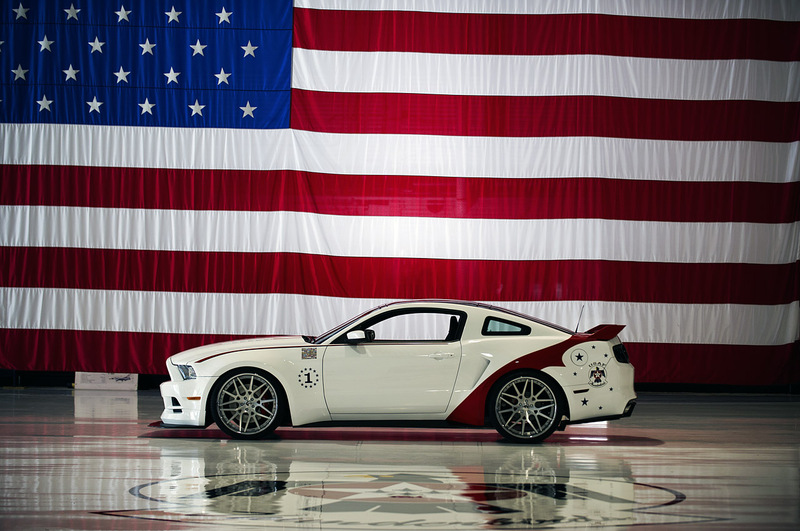 This entry was written by by MustangsDaily (Mustangs Daily) and posted here on Wednesday, July 11th, 2012 at 9:54 am and is filed under New Products, Wilwood, wilwood superlite 4r, wilwood superlite 4r brake kit, wilwood superlite 4r mustang brakes. This article was not written by us, rather gathered using RSS feeds listed here. We take no credit for this article. You can leave a response, or trackback from your own site.